News Columnist Says: Jesus Is White. Do you believe Jesus is white? In this way starts pummel writer Crystal Valentine’s piece where she reviews Fox News host Megyn Kelly’s affirmation during a 2013 broadcast that the recorded historical Jesus Christ and anecdotal Santa Claus are both white men. 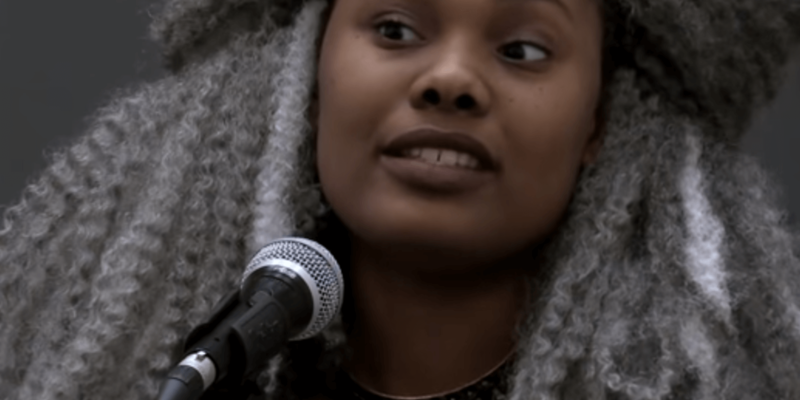 Kelly’s affirmation brought on a firestorm when it happened, however in an execution at the 2016 Women of the World Poetry Slam, Valentine comes back to the debate with a ballad that splendidly close down Kelly, and all the white guardians who take it upon themselves to modify history so it suits them. “She says it with a grin all over, similar to it’s the most evident thing on the planet,” Valentine recounts, in a clasp of the execution posted by Button Poetry on April 21. Whether the recorded Jesus Christ was really dark is, obviously, far from being obviously true. In any case, what isn’t begging to be proven wrong is that Jesus, a Jew living in the Arab world, was certainly not a white man with long blonde hair and blue eyes (as he’s so frequently delineated in traditional workmanship). In any case, Valentine’s ballad is more profound than only an investigation into regardless of whether Jesus was dark. It’s about the benefit in having the capacity to proclaim that “Jesus is white,” or that “bigotry is over.” By including pictures of the youthful dark men who have been killed by the police today, and the white columnists who tell their stories in her lyric, Valentine is additionally raising an inquiry regarding something we so once in a while discuss: Who truly controls the accounts of dark and cocoa individuals?